Drive traffic and close more deals with ProMax! Anytime you buy new software, whether it’s for you or a group, it needs to be easy to use. If it is not being used by your sales team, why make the investment. ProMax is that easy to use tool. Simplify your processes, track your leads, follow up properly, and sell more cars right from one system. Engage, convert, and close faster with our automotive CRM. Empower your team members with software that makes it easy to organize, track, and grow their pipeline. Run automated email campaigns, text right from the CRM, or market to prospects with an e-brochure. Its all streamlined to help you be more productive. The daily work plan will be the nerve center of your salesperson’s day, and will give them a plan to work and the tools to work the plan. Appointments, letters, emails, calls and other activity are easily viewed to keep your sales team on task and goal oriented. Improve the customer experience and increase efficiency with ProMax Desking. Simultaneously desk all available lease and retail options before selecting the best choices for your customer. Quickly present multiple terms and down payments, then utilize an assortment of professional proposals to present your deal. To sell more cars, get more service appointments, and to get more customers visiting your dealership, it all boils down to follow-up. Making sure every customer is logged, customer details are noted, and a process in place to follow that customer from sold to service and beyond is the foundation of the ProMax CRM. ProMax makes reporting credit data to bureaus easy, fast and error-free. You’ll save valuable time by streamlining your credit evaluations. Pull credit bureaus in seconds in ProMax or you can use our credit report codes in RouteOne® and Dealertrack® . Let us help you target and market to your current owner base for customers who are in an equitable situation and may be able to lower their payments with a newer upgraded vehicle! Mine your dealership’s owner base for service customers and sales or find equity customers with Trade Alerts. ProMax offers a variety of useful standard reports, as well as the ability to easily create custom reports. Our lead management, productivity, compliance, profit, and inventory reports allow you to inspect what you expect efficiently and effectively. Increase sales and profits with the right reports to make those important decisions. ProMax has several modules set up to specifically to help individuals in different departments. Managers can access reports and get a quick overview of each department as well as other dealerships in a dealer group with the Manager's Dashboard. Salesrep can log ups and view available inventory in the salesman's module. Salesmen have access to daily work plans and follow up tools within ProMax. Your BDC Manager can track incoming calls and leads and designate who those leads go to. They can also access Daily Workplans of sales reps and schedule appointments accordingly. Today’s dealers need the right tools, knowledge and know-how to run a profitable business. But the most successful dealers know there’s one thing that ensures consistent growth and lasting success – people who excel at customer experience. A lot of software companies tout their customer support and training. At ProMax, it’s part of our DNA.  Our purpose is to help dealers succeed and software is only part of the equation. When you partner with ProMax, you partner with Rick, Dave, and Allison, or Melissa, Ted, and McKenzie. You get a team of people dedicated to you and your business every day. That means when you call, we answer, and we help. Period. Sales: Your sales rep will go above and beyond to meet your needs. They don’t treat you like a sale – they treat you like a friend. That’s the ProMax difference. Dealer Support: Your dedicated support specialist is assigned directly to you and wants you to succeed as much as you do. You have direct, one-on-one access when you need it. Training: Think of your trainer as your own personal guru. Get the absolute most out of your ProMax system by learning from the best in the business. We’re just a phone call away. Tech Support: Your tech support team is standing by to answer your technical questions with care and precision. You call, they	answer, and issues are resolved.